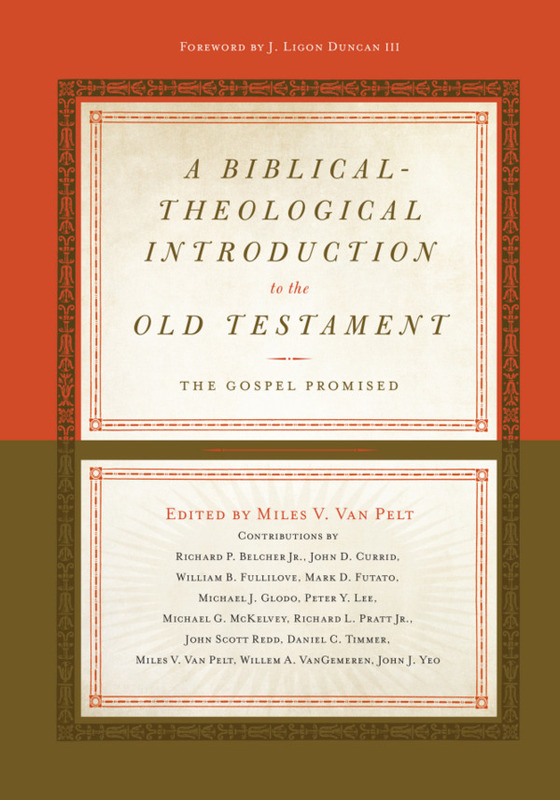 Have you ever thought about why the Old Testament (OT) books are ordered the way they are in our English Bibles? If you have given this much thought, you have probably noticed that the English OT is ordered is by genre (history, poetry, prophecy). While understandable, this order has some serious shortcomings. More helpful is the order of the books that the ancient Israelites used, including Jesus. These are my words that I spoke to you while I saw still with you, that everything written about me in the Law of Moses and the Prophets and the Psalms must be fulfilled. This is the Hebrew order of the OT canon. Hebrew Bibles are still published in this order, and modern Jews still use this order (though with a different order for the Writings). The Law includes Genesis, Exodus, Leviticus, Numbers, and Deuteronomy. The Prophets include Joshua, Judges, 1-2 Samuel, 1-2 Kings, Isaiah, Jeremiah, Ezekiel, and the Twelve (the Minor Prophets). Psalms stood as a synecdoche (a part representing the whole) for the Writings. The Writings include Psalms, Job, Proverbs, Ruth, Song of Songs, Ecclesiastes, Lamentations, Esther, Daniel, Ezra-Nehemiah, and 1-2 Chronicles. There are some differences regarding the order of the Writings, but the order that divides them into pre-exilic (or wisdom books) and post-exilic writings makes sense. 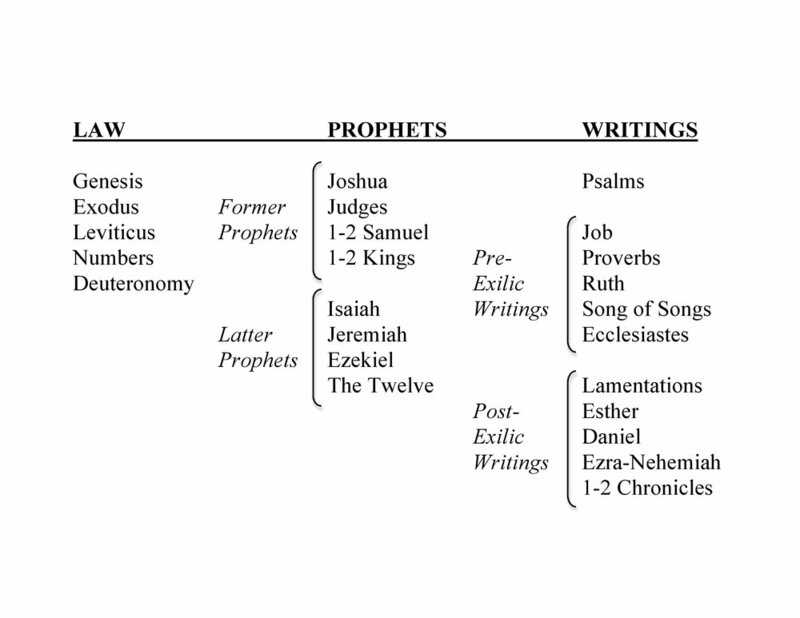 Though other New Testament authors did not mention all three parts together, they made good use of the phrase “the Law and the Prophets.” This was a shorthand way of referring to the entire OT, and it suggests their use of the Hebrew three-fold division of the OT. Jesus used the phrase “the Law and the Prophets” (Matthew 7:12; 11:13; 22:40; Luke 16:15), as did Philip (John 1:45), Luke (Acts 13:15; 28:23), and the Apostle Paul (Acts 24:14; Romans 3:21). Jesus’ reference of Abel to Zechariah only makes sense if He was using the Hebrew order of the OT that is divided into the Law, Prophets, and Writings. In the Hebrew order, Chronicles is the last book of the OT, and Zechariah’s murder is recorded near the end of 2 Chronicles—thus the very end of the OT. The English order of the OT books simply does not make sense of Jesus’ statement, as it has Chronicles in the middle of the OT. It is apparent that the OT order of books referenced by Jesus in Luke 11:49-51 and 24:44 is not the order of our modern English Bibles. English translations not only have a different order, but they also divide the 24 Hebrew books into 39 English books. It is not entirely certain how the English order of the OT came about. There was no unanimous order of OT books given by the early church, and there was no uniform order in the manuscripts of the Septuagint. As the church drifted away from its Jewish roots, the church somehow adopted an OT order different from that of the Hebrew. The Hebrew order unifies books that were separated only because they were too big to write on one scroll in Hebrew (1-2 Samuel, 1-2 Kings, The Twelve, Ezra-Nehemiah, 1-2 Chronicles). This reduces the number of OT books to 24. The English Bible separates books that are unified in content and purpose. The Hebrew order places the latter prophets (Isaiah, Jeremiah, Ezekiel, the Twelve) after 1-2 Kings, which is their proper context. These latter prophets ministered in Israel and Judah during the time of 1-2 Kings. The English order loses this connection by placing the latter prophets at the end of the OT. The Hebrew order makes sense of the Writings by grouping together the books written before Judah’s exile in 586 B.C. (Job, Proverbs, Ruth, Song of Songs, Ecclesiastes). Significant connections between these books are missed in the English order. For example, the end of Proverbs describes the “excellent wife” (Proverbs 31:10), and the next Hebrew book, Ruth, gives an example of such a woman and even calls her an “excellent wife”­­ (Ruth 3:11). Ruth is then followed with a book about marriage in Song of Songs. The Hebrew order makes sense of the Writings by grouping together the books written after Judah’s exile in 586 B.C. (Lamentations, Esther, Daniel, Ezra-Nehemiah, 1-2 Chronicles). Lamentations and Daniel do not fit well with the latter prophets, where they are placed in the English order. The Hebrew order follows a book about exile (Lamentations) with an example of a woman in exile (Esther) and a man in exile (Daniel)—both showing an example of faithfulness unto death. The Hebrew order connects the parts of the OT. Both the Prophets and the Writings point back to the Law of Moses, which is seen explicitly at the beginning of both parts. The Prophets begin with Joshua, which points back to the Law (Joshua 1:8). And the Writings begin with Psalms, which also points back to the Law (Psalm 1:2). Further, both the Law and the Prophets conclude by looking forward to a new prophet. The Law ends with Deuteronomy, which looks to a new prophet (Deuteronomy 18:15; 34:10). And the Prophets end with Malachi, which also looks to a new prophet (Malachi 4:5-6). 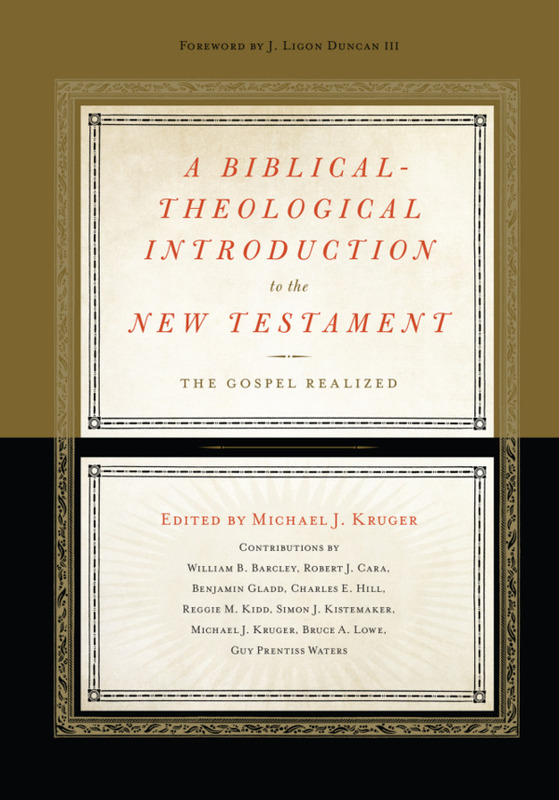 The Hebrew order connects the Old Testament with the New. The English order oddly places 1-2 Chronicles immediately after the similar book of 1-2 Kings. However, the Hebrew order places 1-2 Chronicles at the end of the OT as a summary of Judah’s history with the hopeful conclusion of Cyrus’ proclamation to rebuild the temple (2 Chronicles 36:22-23). This ends the OT on a cliffhanger, as the people were left waiting for the true temple proclaimed in the Gospels, Jesus Christ. And just as the last book of the OT (1-2 Chronicles) begins with a genealogy, so the next book (Matthew) begins with a genealogy—this time connecting to the awaited Savior. These are just some of the many reasons why the Hebrew order is superior to the English order. The Hebrew order makes better sense of the OT. It therefore makes it easier for Christians to understand the Bible and see its beauty. But the ultimate reason why we should use the Hebrew order of the OT is that it is the order that Jesus used (Luke 24:44). 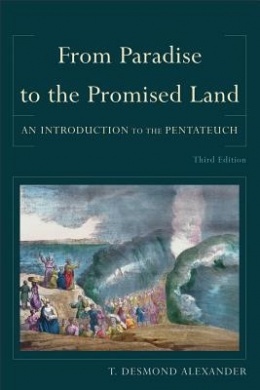 We can only hope that someday the church will return to the Hebrew order in our English translations. The parallel passage in Matthew 23:34-36 identifies Zechariah as “the son of Barachiah.” This is confusing because Zechariah 1:1 identifies its author, the prophet Zechariah, as “the son of Berechiah.” However, there is no biblical record of the prophet being murdered in the way described by Jesus as “between the altar and the sanctuary.” However, this description of death does fit Zechariah the priest in 2 Chronicles 24:20-22. The problem is that he is described as “the son of Jehoiada" in Chronicles. There are a few possible solutions to this problem: (1) Zechariah in 2 Chronicles 24 may have been the son of an unknown Barachiah, and Jehoiada may have been Zechariah’s grandfather (Jehoiada lived 130 years; 2 Chronicles 24:15). (2) Zechariah’s father Jehoiada may have been known by another name (Barachiah), a practice that was common in the OT. (3) Jesus could be referring to Zechariah the prophet, whose murder is told in some extrabiblical Jewish literature. (4) The phrase “son of Barachiah” in Matthew 23:35 may be a textual addition by a scribe who mistakenly confused Zechariah the prophet with Zechariah the priest. This is suggested by the fact that the designation “son of Barachiah” is not found in Luke and is also lacking in an important early manuscript (Sinaiticus). Newer PostIs "Virgin" the Correct Translation of Isaiah 7:14?